. Fullscreen right border bug.
. Crash and burn no longer happens when not needed.
. 24-bit border colour changing flicks.
. Number pad with shift or numlock off now works.
. FDC read track to invalid address crash.
. FDC force interrupt works now.
. FDC write track destroy whole disk bug fixed.
. XSteem shortcuts - can avoid using the Pause/Break key.
. Shift correction for some keyboard languages. -Besides the vertical version there is now also a horizontal version of the frontend available. -A new gamelist parser to generate all gamelists automatically. -Speech...The frontend will say then name of the current selected game when Microsoft's speech api is installed. And also, the source is now released! -The old Kof2000 set is now named "The King of Fighters 2000 (fully decrypted)". -Direct Draw rewrite: Kawaks should run fine with DirectX 5 now (no more DDRAW.DLL error). -Added a "Multitask friendly" switch (Misc menu) for those who think 1.35 was faster than 1.36. -Language pack support. Now you can run Kawaks in your mother tongue (language packs wanted). 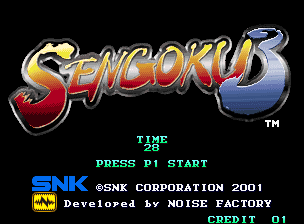 -Added a hack to prevent the crash while loading in kof2000n for those who still have the bad M1 rom. -Fixed columns width in Shot Factory. -Added many tracklists, courtesy of DarkCloud. * Added turbo scrolling to allow much faster scrolling of large numbers of games. * Added a debug mode to help diagnose configuration problems. * Log files are backed up and rotated to aid in debugging. * MP3 volume is now configurable. * Fixed a number of file name comparisons that should have been case insensitive. * Ignore "use_extension" if a ROM file is used. * [SOURCE] Changed MP3 library. * [SOURCE] Changed JPEG library. * [SOURCE] Upgraded Allegro library. * [SOURCE] Upgraded TrueType font library. * [SOURCE] Upgraded PNG and ZLIB libraries. The -hotrod/-hr and -hotrodse/-hrse should actually work now. Fixed a bunch of warnings that occurred when linking with GNU binutils using -warn-common. -Fixed console mode for nitd and kof2000. -Added support sets with decrypted gfx. -Fixed kof99 and kof99d graphics. -Fixed a Directsound 3D bug that was causing strange problems (I forgot to add an EMMS opcode at the end of the MMX code). -Slowdowns while connected to internet or using other audio programs in background should now be mostly fixed now. -Added option to show sound codes, useful to find codes for Force Feedback. The End - So says the title of Bleem's now totally blank website. Looks like it's finally dead. I'm surprised it lasted as long as it did.. their business model involving Bleemcast was peculiar at best, and the abandonment of the PC version certainly didn't help matters either. If you're looking for good PSX emulators, be sure to check out NG-EMU. More PinMAME updates - AJ's VPinMAME site has been updated with more goodies for you pinball fans out there! Galaxy is VPinMAME Table #105! - Added drivers for ddtod, sfz3a, vsava, xmvsf & xmcota. - Added cheats for ddtod, sfz3a, vsava, xmvsf & xmcota. CPS2MAME/Kawaks - Both of these cool emulators have been updated with the latest CPS2Shock releases! KOF2000 (encrypted C) decrypts the encrypted 'C' ROM's. Thanks to Nicola Salmoria for info. Added trackball emulation for The Irritating Maze. Fixed 257-m1.bin merge info for kof2000/kof2000n. Fixed a last bug in the Romcenter DAT generation. Found a bug in the sound sync code. May fix some jerkiness for some people (feedback wanted). Included some code to try to make Kawaks less CPU intensive and more multitask friendly. Changed Step frame from Space to Shift+Space. Added some keyboard shortcuts to modify cheats. Fixed the puzzle game in Three Wonders (CPS1). Fixed macros for NeoGeo games. Changed Redefine keys dialog box so it now shows macro text next to the macro key. New Shot factory (Tools menu). CPS2MAME has also been updated and adds the above new games also. CPS2Shock News - Big news over at CPS2Shock! Final Burn Alpha Release - Final Burn Alpha v0.200 has been released! - A minor adjustment to the handling of WSYNC. - A display of the number of scanlines in the current frame when in mode 9. SegaXtreme Updated - This may not be emulation or retrogaming, but as you are all gamers and in the absence of any other news coming my way, I thought I'd let you know that IceMan2k has posted 120 Soul Calibur images over at SegaXtreme. There's some real high quality images too! Well worth a look. - Fixed black screen in f3 games when changing the rom version code and reseting. - Fixed bug in hiscores saving for win32 and dos. - Fixed auto-fire... Now working again ! - Added dynamic mode lists in vbe/af (dos). - The triple buffer hacks are back ! Thanks to Mrhide for letting me know. -Fixed DiskState & Movie bugs. John Wilson, the owner of Zenobi Software has granted the .tzx vault exclusive rights to make his zx spectrum games available for download. The list available is nowhere near complete, but work is ongoing. The entire collection available as .z80 and .sna snapshots can be purchased on CD directly from John himself. * Improved Mapper #65 support, now it should be perfect. * Fixed a nasty bug on the cpu core, which was preventing CMC 80's Demo to Loop. * Improved controller input code. Now perfect. * Included some nasty hacks to improved compatibility. * Fixed a stupid typo on the menu. New games at Cinciclassic - Just received word from Michael Thomasson that Good Deal Games will be showing John Dondzila's unreleased Vectrex game GRAVITREX at the Cinciclassic show this weekend! Not only that, but they will also be unveiling TWO brand new Colecovision games! One is still "on paper" only for now, the other will be a playable ROM running on an emulator (they didn't have time to get carts made before the show). - Fix missing sound from "Wonder Boy III - Monster Lair (set 1)"
- Added sound (not perfect) for "Polaris"
- Added sound (perfect) for chopper I"
- Added colors in "space invaders deluxe"
- "Bird" in "dunk hunt" are now shootable. Neogeo CD games supported. Check the Readme for specific information. Added Nightmare in the Dark. Fixed rasters in some games. New QSound engine 3 times faster and more accurate. It includes a new interpolation mode that uses 4 samples instead of 2. Fixed mvsf top line reversed in the VS screen. Fixed cheat engine dependencies, regions aren't taken from parent set. Specific audio configuration for each system. Fixed gfx memory allocation, now nebula requires less Video Ram to work. -Kudos to Nicola S. for breaking the encryption. 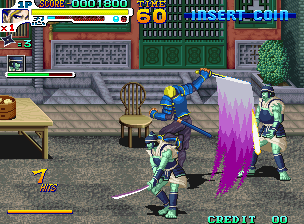 -Alpha Mission 2 changed to match MAME 056. -Changed KOF99 so it uses the encrypted gfx roms. kf99_s1d.rom (released some time ago). kof99_v* / m1.rom from kof99.zip. kf99n_p1 / p2.rom from kof99n.zip. This gives a simple standard NeoGeo set, gamewise identical to the big encrypted one. -Fixed bug where ticks were cleared in the menus. SNK sued Aruze - Aruze announced that Osaka district court had declared SNK's bankruptcy on Oct 30. SNK was called a decision of court protection in this April, although it couldn't file recovery plans by the appointed day and the district court determined to terminate the protection. - *5* more Jap carts off the MIA list.. keep em coming, almost there!